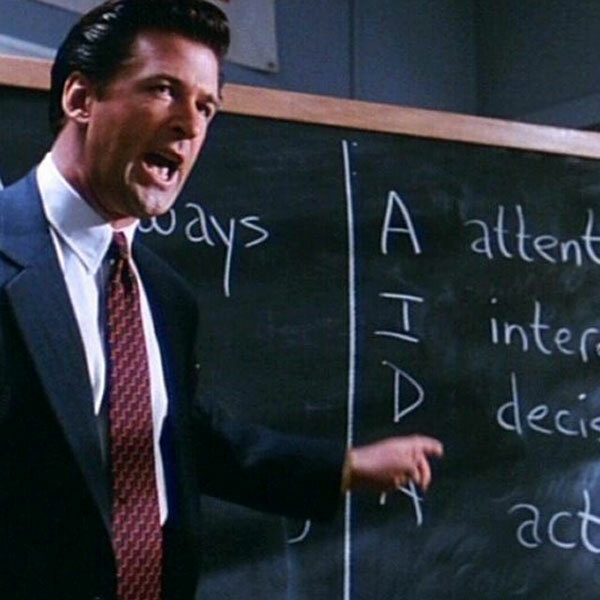 Alec Baldwin in Glengarry Glen Ross. Right off the bat, I’m going to admit I like Alec Baldwin — the actor. The man himself and his public image, not so much. 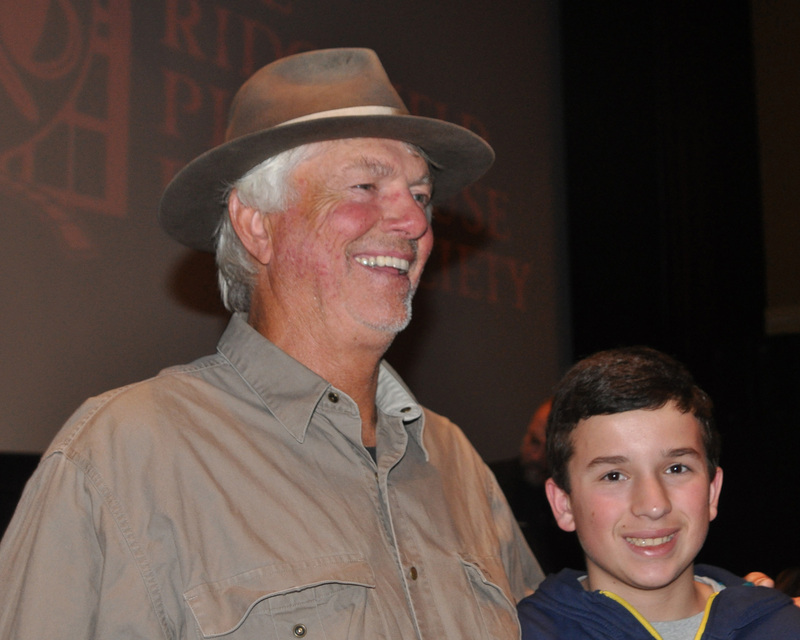 Bill Lee is a character inside and out. At 67, the once-great major league baseball left-hander has never given up the game. He’s still playing, and last week finished a tournament in Florida (his team won). 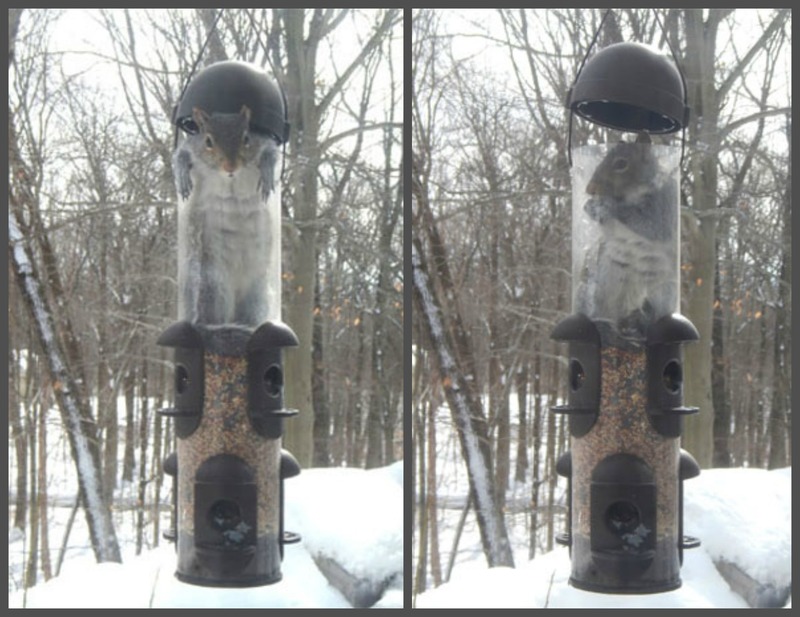 A woman from Weston, Connecticut saw this little dude foraging in her birdfeeder. He soon got up to his neck in trouble, and birdseed. 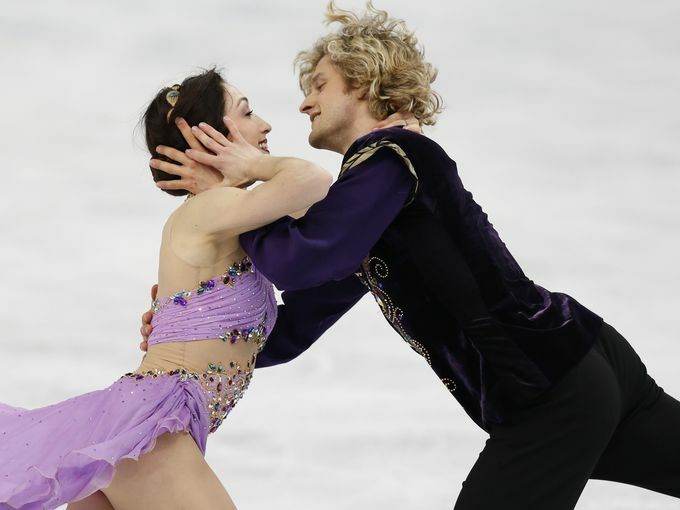 Meryl Davis and Charlie White lit up the Olympic ice in their gold medal ice dancing performance. Meryl Davis and Charlie White have skated their way into America’s hearts, becoming the first U.S. team to win Olympic gold in ice dancing. 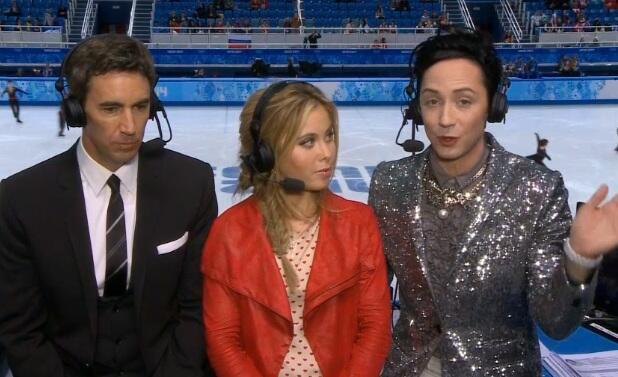 Tara Lipinski and Johnny Weir (pictured with some bored guy on the left) are two of the highlights of the 2014 Sochi Olympics. A great way to beat the winter doldrums, Chicago hosts an annual snow sculpting competition at Navy Pier. 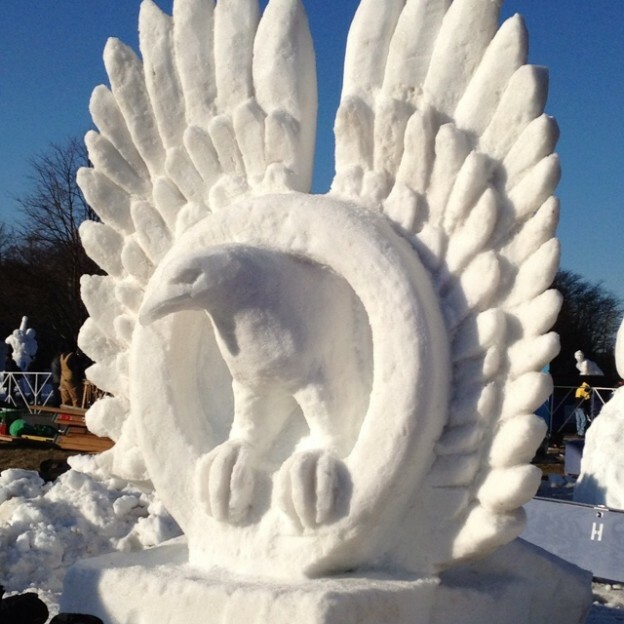 Not the same as ice carving, snow sculpting involves three person teams carving 6 ft x 6ft x 10 ft tall blocks of snow. Professional teams from Illinois to China participated, as well as local high schools. 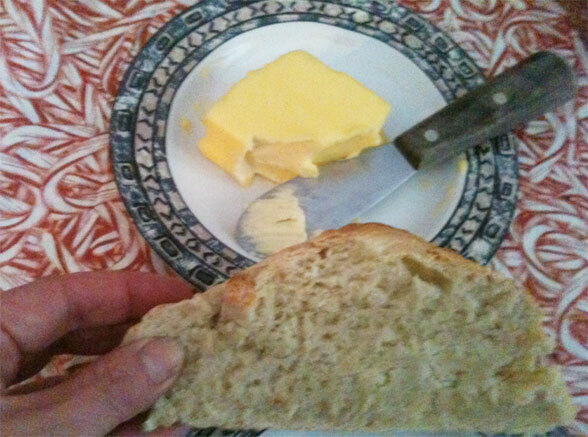 A slice of my homemade No Knead Bread. When the snow is falling and you’re stuck at home, there’s nothing more satisfying than breaking out the crockpot and making a hearty beef stew or soup for dinner, and perhaps a nice piping hot loaf of homemade bread. That’s what I had in mind on Wednesday as eight inches of the white stuff billowed down during the day. I was able to work at home to get our newspaper out and decided to try my hand at making “no knead” bread. Friends on Facebook were buzzing about a recipe on Jezebel.com titled ‘How to Make Easy, Fast, Foolproof Bread from Scratch.’ None of them had tried it yet, but since I had the ingredients on hand and had plenty of hours to kill watching snow pour down, I decided to give it a whirl. 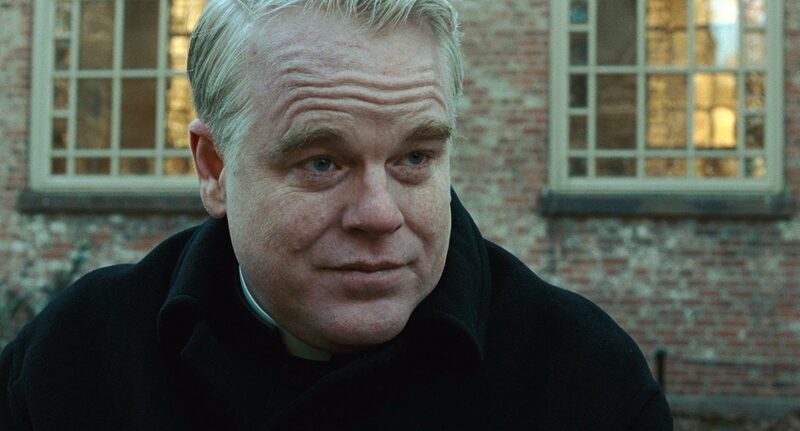 Philip Seymour Hoffman as a priest in Doubt. While he had a great body of work, I think this was my favorite performance. It wasn’t time for Philip Seymour Hoffman to leave us. But he’s gone and will be greatly missed. He could play a rumpled loser, a gadabout author, a nasty prep student, or a religious cult leader with ease. He also had his way with Broadway in True West, Long Day’s Journey Into Night and Death of a Salesman. 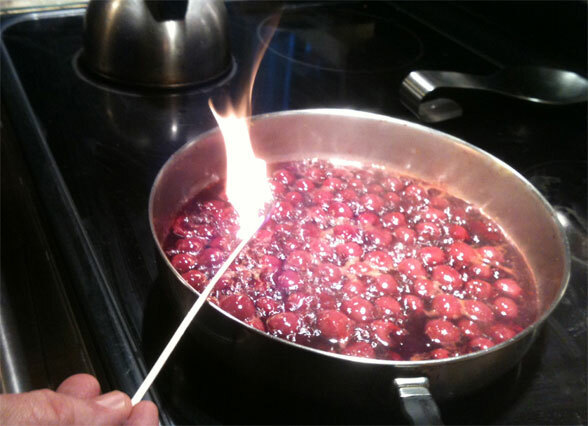 Lighting cherries and kirsch for Super Bowl Sundaes. The highlight of the Super Bowl for me was listening to Renée Fleming perform the best version of the National Anthem at a football game EVER. The Seahawks decimated the Broncos, 43 – 8, and it was all about Beratin’ Manning.